We recently had the pleasure of photographing Priya and Saurav's pre-wedding engagement ceremony at their house in Cheadle before photographing some intimate portraits of the newly engaged couple at the newly opened Oddfellows on the Park at Bruntwood Park. The newlywed couple exchanged their wedding rings in a family filled living room which played host to their ring exchanging ceremony. 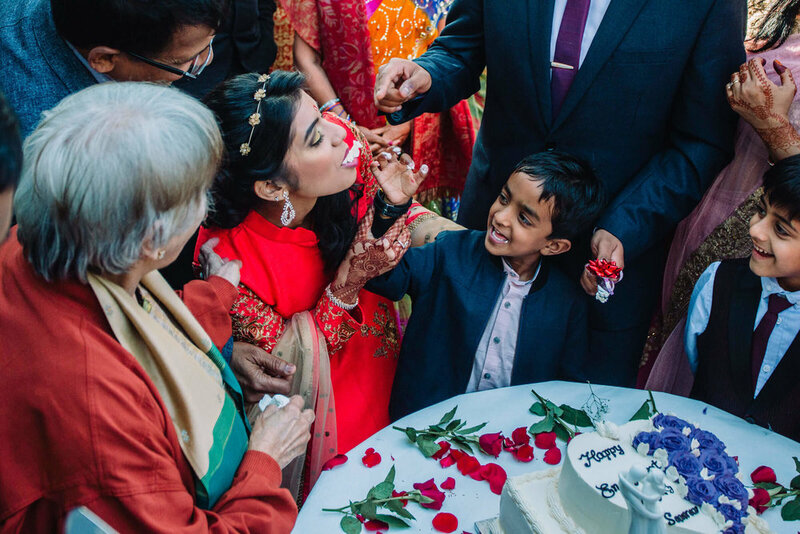 Family members of all ages looked on as Saurav went down on one knee to place the ring on Priya's finger. 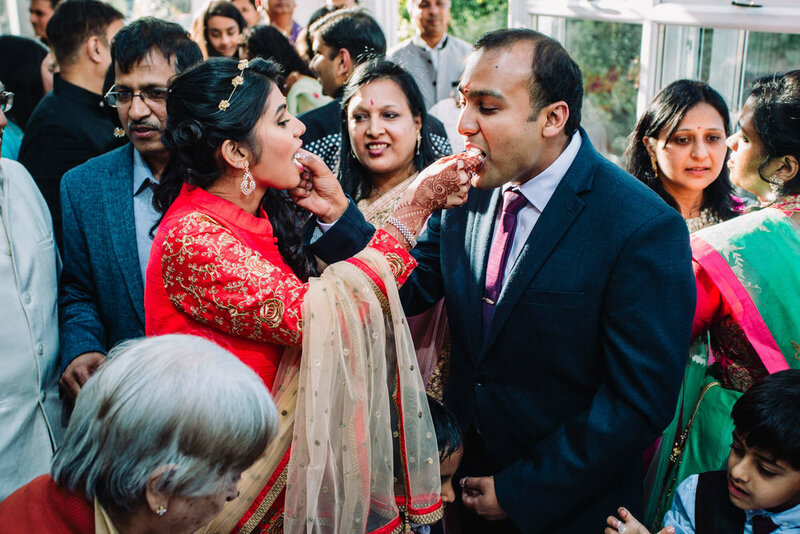 Once the ceremony had come to an end the family gathered in the back garden for the cake cutting. The cake itself was delicious and was readily passed around for all to try! Straight afterwards we were then treated to traditional dancing which was utterly mesmerising and great fun! 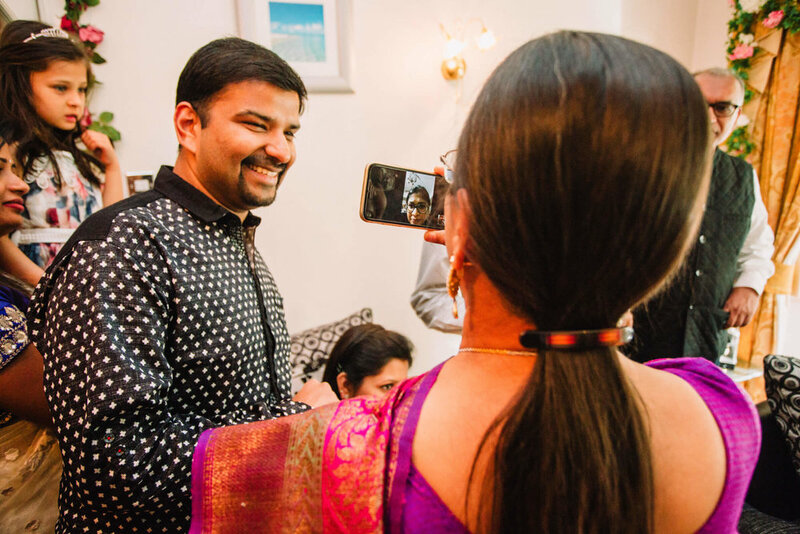 After the family celebrations had taken place at Priya and Saurav's house, we headed over to the brand spanking new Oddfellows on the Park wedding venue for some portraits of the lovely couple. The venue has been newly renovated for weddings by the Oddfellows team who began over at Oddfellows Chester. What was once Bruntwood Hall and home to stuff merchant John Douglas and his wife in 1861, through to the present day being used as a wedding venue - this building's uses have been diverse and very interesting. We really can not wait to come back for our first Oddfellows at the Park wedding! Why not get in touch to chat about your Oddfellows on the Park wedding photography?